« What is Bigger Than God? The Strawberry Festival is going well. 67+ decisions have been reported so far. We are grateful for all the faithful workers who have been part of winning souls Christ. 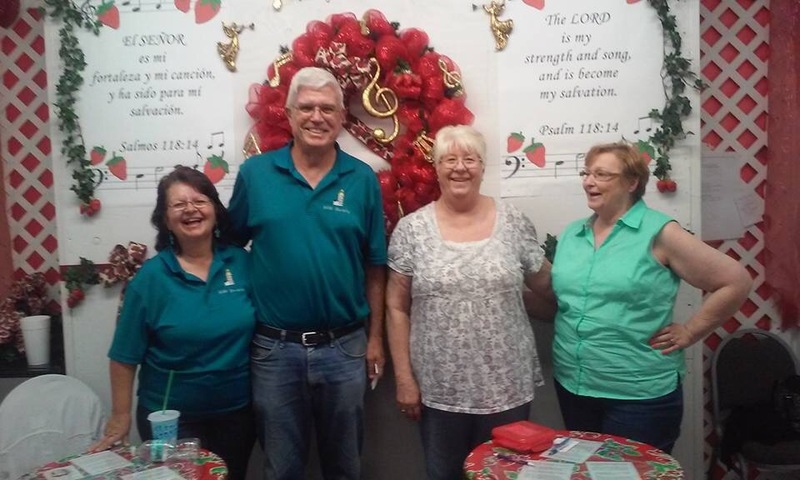 Pastor/missionary Randy Thomas with his wife (on left) and two other ladies from his church are just 4 of the many workers. There is no other joy than winning souls to Jesus. And there is also joy in Heaven. The answer to yesterday’s riddle is NOTHING. This entry was posted on March 6, 2017 at 12:29 pm and is filed under blessings, Email: info@sosevents.org, Event Activity & News. You can follow any responses to this entry through the RSS 2.0 feed. You can leave a response, or trackback from your own site.